Just a quick post today – our friends at DEFEND are running a competition on Twitter to win some of their merch – so get over there and enter it! 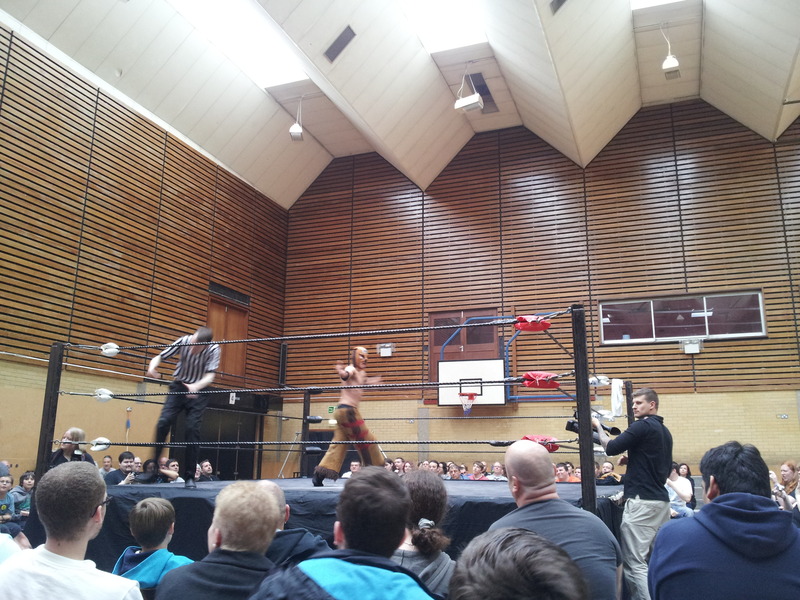 I went to the IPW:UK show at Swanley, Kent, last night, and I was thinking about doing a show review. It was a great bill (I adored the Lion Kid v Mark Haskins match, short though it was – a display of technical brilliance and some absolutely textbook bridging) but I just felt a bit snarky about the whole thing. Then I realised that my judgement and enjoyment had been entirely coloured by a family sitting next to me. A dad had brought along his two children and his mate’s two children (all of whom were, I’d say, under 12, with the youngest aged around 7). Initially I smiled, and thought, “Isn’t that adorable? Wrestling’s still a lovely family-friendly night out.” And that was particularly the case with this show – it was scheduled to start at 6.15 and finished at 8.30, meaning it wasn’t too late for the little ones (or slightly older ones that had to get a train back to London). Competition: win the Lion Kid In DGUK DVD! Lion Kid’s featuring in two of the big shows this weekend – Saturday night he’s with IPW:UK in Swanley against Mark Haskins, and on Sunday he’s at Progress Wrestling at the Garage versus Stixx. So – want to win his brand-new Lion Kid in DGUK DVD? Of course you do! Well, he’s very kindly sent us a copy to give away as a competition prize. What’s Lion Kid’s official billed height? Email us your answer by 12 noon on Monday 25th June. A winner will be picked at random and notified that afternoon. If you’re not lucky enough to win, you can buy a DVD from his official website. Word on the street is that when Randy Orton got suspended for his second wellness violation, two other superstars tested positive as well. Whether there are more suspensions to be announced, I don’t know, but I’m fascinated by the part of the story that says one of the wrestlers produced a valid prescription for the medication he was taking. 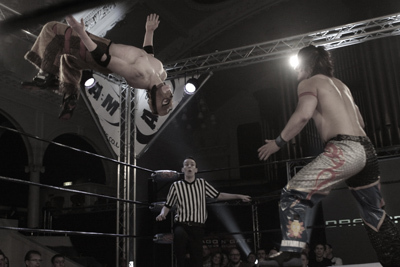 Question: how would you describe the UK wrestling scene? As you may know if you follow me on Twitter, I’m currently writing a book about British wrestling. I’m working on a chapter about the scene’s resurgence, and would like your thoughts on how you’d describe the current scene. Still too full of politics and in-fighting? Or do you think there’s an increased sense of community now? What about the actual talent on show? If you’d like to share your thoughts, please add a comment, or just drop me an email. Thanks!